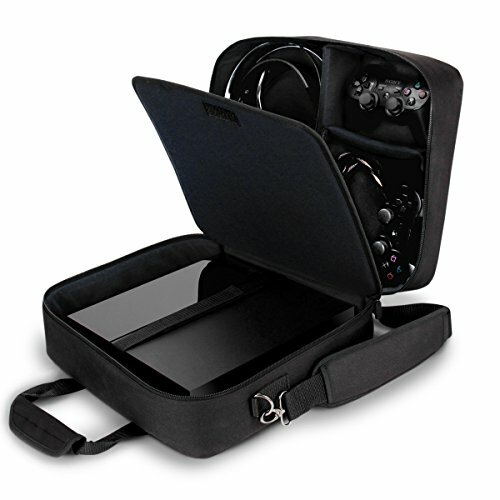 Save 50% on this carrying case for your game accessories and console! This case has a durable exterior made of woven nylon. It has extra padding and a reinforced shell to keep your game accessories safe from drops and bumps. It has customizable interior storage that allows you to fit your headphones, games, up to 4 controllers, and more! This case also fits all PS4 models with room to spare. If you need a carrying case for your console and accessories, then get this one while it’s still on sale!